A young man who swore near a Newtown kebab shop late on a Friday night has escaped without a fine, after a court ruled in his favour. Alec Kitching, of Leichhardt, admits he was “cheeky” when asking a police officer if the Daily Telegraph he was reading while waiting for his meal was where he got his “intel”. During the exchange, in March 2017, Alec also pointed out the police riot van was in a bus zone. The carpenter - who never managed to even get the kebab he had ordered and paid for - was subsequently issued with a $500 fine for offensive language, which he appealed. Magistrate Quinn of Newtown Local Court found that while Alec swore, it was not intended to offend: instead it was used as a normal part of his language. In her ruling she said that while it is “disgraceful” that police are sworn at, “everyone in Newtown would be locked up” if swearing were taken more seriously. Alec says it’s a relief not to have a criminal record for both future employment prospects and other opportunities. “It was such a stressful process - and I would have lost around five days’ work through the court appearances,” he says. That work would have earned him more than $1500. The 25-year-old initially represented himself before getting a lawyer through Marrickville Legal Centre’s Youth Legal Service – which would have meant he would have to have cross-examined four police officers. “It made a world of different having someone to speak with and advise me in which direction to take the case,” he says. Alec is now considering pursuing a career in law. Anyone in NSW who is 25 or under – or a guardian - can get free legal advice through the Youth Legal Service, based at Marrickville Legal Centre. The Centre can be reached on 9559 2899. City-based lawyers like Rory Smith (pictured below) are volunteering their services for Marrickville Legal Centre – without leaving the big smoke. The Colin Biggers & Paisley Foundation is hosting a new youth law clinic every Monday evening from 6pm at its offices in 2 Park Street. “I enjoy getting the chance to get exposure to different areas of matters outside my usual practice areas as an insurance lawyer,” says Mr Smith, a senior associate at Colin Biggers & Paisley. “It’s very rewarding to have been able to help a young person with an issue that may have been a big stressor in their life,” he says. Any young person under the age of 25 in NSW can use the telephone-based service. The types of law include employment, credit and debit matters, as well as traffic offences and fines. Vasili Maroulis is a youth solicitor at Marrickville Legal Centre and sometimes supervises the evening advice clinic at Colin Biggers & Paisley (CBP). Karen Iles, the Director of Pro Bono and Responsible Business at CBP says it’s a natural partnership. 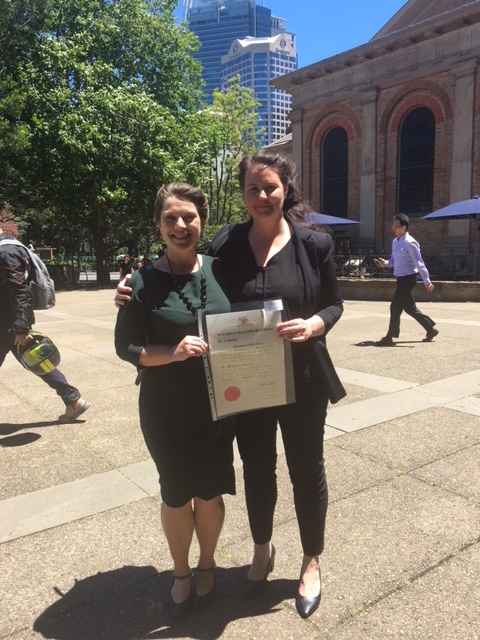 “The Colin Biggers & Paisley Foundation has a strong commitment to rights of children and young people, so we are thrilled to host this youth law clinic with Marrickville Legal Centre,” she says. CBP is one of MLC’s pro bono partners and it currently provides up to four staff members for each youth clinic. A young man who was thrown out of the family home has been saved from a criminal conviction after a court ruled in his favour. One of Marrickville Legal Centre’s youth solicitors argued the young person never received notification that his driver’s licence had been suspended. Instead, it had gone to his father’s home in Punchbowl, where he was not welcome. “I had been kicked out of my father’s house because I had decided to transition from female to male. My father is really religious and he’s also a blackbelt – so I just backed off and started couch surfing,” says Jacob. Jacob only learnt about the suspension when he was pulled over by a staff member from the Roads and Maritime Service in November 2017. Liverpool Local Court dismissed the criminal charge of driving without a valid licence, which carries a maximum penalty of $3300 and six months in prison. The Magistrate found Jacob’s circumstances were such that he could provide a reasonable and honest explanation as to why he drove without a valid licence. “It means a lot because it’s not on my record. That’s a huge thing,” says Jacob, who has found stable accommodation and employment as a driver. While the criminal matter has been dismissed, his employment remains in doubt. He is not able to work as a driver for three months, as he will still lose his licence for offences including speeding. In the meantime, Jacob can fall back on his skills as a chef – but the income falls short of being a driver at a critical time. He’s scheduled to have chest surgery in August, for which he needs an additional $4,000 – money that he was hoping to get from being on the road. Marrickville Legal Centre runs a state-wide Youth Legal Service for people between the ages of 12 and 25. It can be reached on 9559 2899. Owen Egbenoma’s family always hoped he would become a lawyer, after he showed promise as a public speaker throughout his schooling. Now the 25-year-old is growing into the profession as a volunteer at Marrickville Legal Centre. Owen initially started his legal career as a paralegal in a practice specialising in property law, but decided to do his Practical Legal Training (PLT) at MLC to find his direction. “There’s great diversity in the work we do here, which is good,” says the graduate of Western Sydney Law School. “Applying soft skills, being empathetic with clients and being able to have that initial rapport is really important. Trust is vital - it’s very significant given the background and circumstances of some our clients,” he says. What are you trying to achieve from your PLT role at Marrickville Legal Centre? Ever since I completed my degree, I’ve been trying to settle on what exactly it is I want to do within the profession, which area of the law my interest truly lies. The two practice areas I’ve worked in, I’ve realised they’re probably not for me -- property is okay, but it is perhaps too transactional. Marrickville Legal Centre presents a fantastic opportunity because of the diversity and breadth of work, and the different types of clients we assist. Why did you choose to travel to Marrickville for your PLT? I’ve always heard really positive things about the Centre, and have been intrigued by the activities of CLC's since my fourth year of Law School. During my studies at the College of Law, I interacted with several former MLC volunteers who gave glowing recommendations. Where are you working most of the time? I’m currently a retail consultant at Optus. I have been employed with the company since my time at university. From these experiences, I've developed an intrigue in consumer protection. I did the Consumer Law elective at university and found the concepts interesting. I’m particularly looking forward to doing some employment law work at MLC. I have a commerce degree, with a major in Human Resource Management and Industrial Relations, so I feel I can view these types of matters from multiple perspectives. What do you remember about growing up in the Hills District? Just a great place to grow up really, with an increasing mix of cultures. My family have lived in the Hills District for the majority of the time we've been in Australia. When my father arrived here from Nigeria, he started work as a cabbie. I was two years old when we arrived, and despite leaving quite young, I’ve still grown up with a lot of the Nigerian culture, and consider myself a proud Nigerian-Australian. I look forward to going back over there soon. The needs and views of young people are frequently overlooked by the legal system, even when it comes to matters directly affecting their care – or that of their siblings – according to a submission on the Family Law system, put together by Marrickville Legal Centre. The Centre’s submission highlights what it calls the ‘default’ position of young people not having direct input into family law proceedings about parenting orders that affect them. “The issue has been highlighted in a number of recent cases we have seen where young people estranged from a parent find themselves permanently separated from younger siblings that still live with the parent,” says Marrickville Legal Centre’s Family law and family violence solicitor, Dr Maree Livermore, who wrote the document. “Family law now gives grandparents a specific path to use to protect their contact and relationship with grandchildren, yet there is no similar path for siblings,” she says. The Centre has two current cases in which young people aged 16 and 17 are being prevented from seeing their siblings by a single parent. In a third case, after the death of their mother last year, a young person, has applied for sole parental responsibility for his three siblings. Joel* is concerned about the welfare of his siblings who are in the care of their father, who has a history of physical, verbal and emotional abuse. Joel was stabbed by his father three years ago. Dr Livermore, who is also the author of the Family Law Handbook, argues that young people like Joel have a lot to contribute to informed decision-making about care arrangements for children and the crafting of sustainable outcomes. Currently, young people are usually required to start family law proceedings with a case guardian. Additionally, young people are also not allowed to give direct instructions to a lawyer. The submission argues that the Family Law Act does not allow for the voices of young people to be clearly heard, a position which is out of step with the United Nation’s Convention on the Rights of the Child, and the approach taken under state-based child protection laws. “Despite children and young people being at the centre of parenting disputes, their views are almost always filtered, before they even reach the court, by adults who apply their own ideas about what should happen,” says Dr Livermore. “Young people do not generally talk to judges, they don’t take part in mediation, and there is often no independent children’s lawyer or family consultant appointed. Quite apart from the rights issue, if the court is aiming to make a workable, sustainable decisions about arrangements for children, it is losing valuable data in not hearing directly from the people it matters the most to. The Turnbull Government announced the first comprehensive review into the family law system in 2017. "Violence almost broke my creative spirit: I could no longer dance or sing." My Thi is a life-long performer whose voice was effectively silenced by an abusive relationship. That shattered spirit is common in those who have experienced violence: we see many of them walking through our door. "The support I got at Marrickville Legal Centre was invaluable: I could not have got back on my feet without it," she says. Help us support survivors of violence, through your generous tax-deductible, end-of-financial year donation. When survivors contact Marrickville Legal Centre, we work with them in a holistic fashion to help them out of the shadows of violence. While legal issues are often pressing, non-legal support, including counselling and connection with other services is vital. Funding for that work is in jeopardy, despite an increasing need in our community. To keep going with this vital work in the short-term, we urgently need to raise $50,000. We know the difference the work makes to survivors, like My Thi. 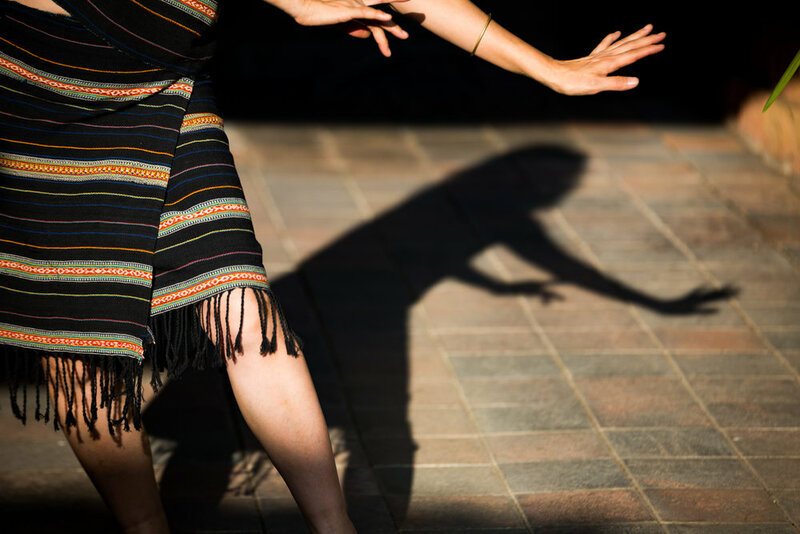 She won victim’s compensation, which has helped her to establish a life – and to continue her artistic pursuits – in Sydney. In addition to her own work, she teaches art therapy classes to young homeless people and people who have experienced violence. "Sometimes I see my own experience of domestic violence reflected in their lives," she says. "It means a lot to be able to help them through it." She also sings and dances to raise money for her community iand for the Ian Bowie Memorial Association in Sydney, helping disadvantaged young people find their way into the world of theatre. Your generous donation before June 30 will help support this vital work in the community for six months. Marrickville Legal Centre has come up with an artfully designed pocket card to help young people know what to say and do when they have interactions with police. The card, which was distributed as part of a legal education program at Belmore Youth Resource Centre, gives young people tips like suggesting they film any interactions with police. “We know that young people are often intimidated when they encounter police,” says Vasili Maroulis, one of the youth solicitors from Marrickville Legal Centre, who delivered the training. “Amongst the tips in the card: It is legal to film such interactions and it’s a good idea, because everyone tends to be more aware of how their behaviour appears when the camera is rolling,” he says. The pocket card was used as part of an eight-week curriculum delivered to young people from the Canterbury-Bankstown area, ahead of Youth Week (13-22 April). “The young people asked lots of questions during the sessions and it seemed to be thought-provoking for them,” says Frankie Sullivan, the other youth solicitor involved in the program. The youth team from the City of Canterbury Bankstown was a partner in developing the material and approached a number of schools to ensure the material reached a large number of young people. The work was funded thanks to a grant from the City of Canterbury Bankstown. Police powers ... Marrickville Youth Solicitor Frankie Sullivan and the pocket cards. Northern NSW has amongst the highest rates of strata living outside of Sydney*. Due to the increasing numbers of people living in strata buildings, a free service has been established to help owner-occupiers with the legal problems involved. The two Sydney-based solicitors take calls from anywhere in the state – and have been giving information sessions around Newcastle and the Central, Mid- and North Coasts of NSW. "We get a range of queries, from how to get repairs or renovations done and what to do if the property is considering collective sales, through to what to do when you receive a penalty notice for breach of by-law - for example for pets, or noise," says Jake Edwards, from the Strata Collective Sales Advocacy Service, pictured at right below. The Service has a particular focus on recent changes to strata law, but it can take general queries. It gets a lot of calls relating to special levies. “Special levies can push people into debt,” says Mr Edwards. “Often owner-occupiers can’t come up with large sums of money at relatively short notice like that. Strata is the fastest growing form of residential property ownership in Australia. “Over half the new dwellings to be built in our metropolitan areas over the next decades will be strata titled,” says solicitor Justin Abi-Daher, pictured at left below. “Our service has been inundated by queries because strata affects the way people live, where they live and their budgets,” he says. The latest figures, released in December 2015, show that outside of the Sydney metropolitan area, Wollongong LGA had the highest number of residential strata lots in NSW (16,303), followed by Newcastle (12,373) and the Tweed (12,068). Port Macquarie came in at number four with 6,395 lots and Coffs Harbour came in at number five with 6,254 lots. The Service can be reached on (02) 9559 2899. Quyen Nguyen was a political refugee from Vietnam in the 1970s: she escaped the country by boat with her parents and siblings and lived in a UN refugee camp in Malaysia before being settled in Australia in the 1970s. When the family eventually settled in Sydney almost 40 years ago, they had lived in Dulwich Hill. “When I was a child, we used to shop on Illawarra Road in Marrickville. There was such a large community of Vietnamese people here and there were some things that were familiar. We eventually moved to South Western Sydney when I was about 16 years old,” says Quyen, who has nearly completed her Juris Doctor at UNSW Law. “When I volunteer at Marrickville Legal Centre, I hear a lot of stories about vulnerable people. Not so long ago, my parents and I were vulnerable. It was difficult to seek justice because we were migrants,” says the paralegal at Marrickville Legal Centre. What was your first impression of Australia? I was only 7 years old when we arrived in Australia, but I remember the place felt massive: the land and houses were sparse and widely separated compared to the little villages and houses in Asia. Having said that, when we lived in Vietnam, we did not live in a small house. My great-grandfather was a billionaire, so we lived in a big compound. My father studied Commerce in France and became a successful businessman upon his return to Vietnam. He eventually went into politics and became the Treasurer of the Democratic Party. After the war had ended in 1975, my family was persecuted by the Communist Party due to my father’s political activity. Things were not equal for us when we arrived here. Migrants tended to settle in certain areas, and were only permitted to do certain jobs, so my Dad became a secretary and my Mum was a dressmaker. What did you do before studying law? I worked as a pharmacist for 24 years and I’m still doing it as a locum. I have worked in hospital and community pharmacies all over Sydney. I always wanted to do law as a child, but my parents had advised against a career in Law because they had perceived that with English as a second language, I would struggle and may not become successful as a lawyer. What made you decide to study law, finally? I am getting old and if I cannot fulfil my wishes now, then there’s no point! I cannot delay my dream of becoming a lawyer any longer. It would look weird if I attend Law School in my 60s. I want to use my intellect to help vulnerable people with social justice problems. How have you found the study? I started my JD a while back, but I had to drop to part-time study to nurse my elderly father at home. It’s just me and Mum now. Thankfully, she’s doing well. Before I studied to be a pharmacist, I thought I wanted to be a vet. I did that for a week, but realised I had a phobia of insects! When I was at High School, I used to listen to Boy George and had tied my hair with ribbons like Boy George. When I went to Bethlehem College in Ashfield, the nuns made me remove the ribbons at the School Gates, and to comb my hair neatly before entering school grounds! I also tell people that I’m taller than I actually am. I usually say that I’m 5 foot 5, but people don’t believe me since I am only 5 foot 2. Our strata service is growing! Our newest service, which was set up in November 2016 in response to new strata laws on collective sales and redevelopment, is now also able to provide legal advice about other general strata-related matters, in certain circumstances. Justin Abi-Daher and Jake Edwards are the faces of the state-wide Strata Collective Sales Advocacy Service, which is funded by NSW Fair Trading. In certain matters, the team may represent clients in the NSW Civil and Administrative Tribunal or the Land and Environment Court. Not only is the team doing more work, it's also on the move! As part of the outreach, Justin and Jake will be carrying out information sessions in areas with high strata density in northern NSW in early March. The strata service is the sixth and newest service of Marrickville Legal Centre. The team can be reached on 9559 2899. Motor vehicle accidents are getting dedicated attention at Marrickville Legal Centre. The new fortnightly clinic comes as a result of a new pro bono partnership with the business law firm Hall&Wilcox. This takes to eight the number of legal firms which work closely with the Centre. The firm’s Director of Pro Bono and Community, Nathan Kennedy, has been a long-time volunteer at the Centre. MLC’s Managing Principal Solicitor, Annette van Gent welcomes the support of two solicitors every fortnight. “People on low incomes often don’t have insurance because they can’t afford the premiums,” she says. Mr Kennedy notes the partnership formalises what was already a well-established connection. ‘’I enjoy the diversity of the work at Marrickville Legal Centre,” says Mr Kennedy. “It was a natural progression for Hall&Wilcox to formalise a partnership on the back of that work. “The firm has a strong commitment to social justice and ensuring that everyone has access to the legal help they need,” he says. Three new faces have been voted onto Marrickville Legal Centre’s Board. One of the new Board members is a long-time volunteer solicitor with the Centre, Ian Bennett (pictured below at left). Ian is an employment lawyer who also works with one of the Centre’s pro bono law firms, Sparke Helmore. The other new Board Members are Alexandra Conroy and Alejandro Arvelo (also pictured). Alejandro is a senior lawyer with extensive in-house and private practice experience in the insurance and finance and technology industries. Alexandra Conroy is a former corporate lawyer, who launched and is currently leading a tailored healthcare business. The Centre wishes to thank Rebecca Kenny, General Counsel for the Australia Council for the Arts, for her significant contribution as a Board member during 2016-2017. Children as young as ten are being kept on a covert blacklist by NSW Police, according to a key report involving Marrickville Legal Centre lawyers. Policing Young People in NSW: A study of the Suspect Targeting Management Plan (STMP) was launched recently by MLC’s Managing Principal Solicitor, Annette van Gent. The Centre convenes the Youth Justice Coalition, which produced the report. The Centre’s former youth solicitors Kate Duffy and Liam McAuliffe were contributors to the landmark report. It finds STMP is disproportionately used against young people and Aboriginal people. The report authors, Vicki Sentas from UNSW Law and Camilla Pandolfini from the Public Interest Advocacy Centre, find police compiled the blacklist in the belief it will prevent future offending by targeting repeat offenders. They also find police target individuals they believe are likely to commit future crime. Thy authors say thousands of people may be on the list and subjected to routine harassment by the NSW Police as a result. *An absence of oversight, scrutiny or evaluation. The Youth Justice Coalition made a number of findings, including that the police discontinue applying STMP to people under 18 years of age and that they make the STMP policy and operational arrangements publicly available to enable transparency and accountability. The Youth Justice Coalition, which is convened by MLC, is a network of youth workers, children’s lawyers, policy workers and academics who work to promote the rights of children and young people in NSW and across Australia. Photo: Marrickville Legal Centre’s Managing Principal Solicitor Annette van Gent launched the report. Children as young as ten who are victims of family violence are often kept in police custody overnight as there are not the services to cater to them, according to one leading expert on criminology. UNSW Professor Eileen Baldry made the remark as part of a Q+A style panel on young people and violence co-hosted by Marrickville Legal Centre and Gilbert + Tobin. 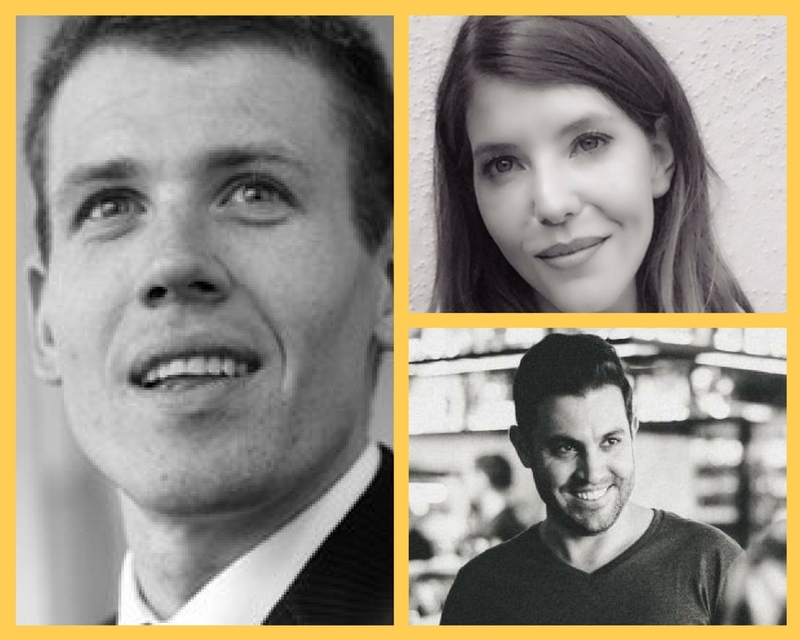 Moderated by ABC TV’s Ben Jenkins from The Checkout, the panel reported common themes including a lack of appropriate resources for young people, the importance of schools as being a way of stopping the cycle of violence and problems with the justice system. Justice Elizabeth Fullerton of the Supreme Court said she had little faith in the punishment model being a deterrent. “I am heartbroken and staggered by the number of juvenile offenders that have been refused bail all the way up to our Court,” she said, noting that young people who experience family violence frequently become offenders. A young person who left a violent relationship was also on the panel, saying she had little awareness of healthy relationships before finding herself in danger. “I grew up in out of home care,” said Naja, who is now a mother of a 13-month-old daughter. School should also be a protective factor and “sanctuary” for children and young people experiencing violence, according to psychologist Beth Macgregor. “We need teachers to be trauma informed, so that they can identify behaviours, such as aggression, and look at what might be at the root of the problem,” she said, adding that early intervention in children as young as two will save money and untold social harm. Marrickville Legal Centre’s Domestic and Family Violence Support worker, Zoe McMillan spoke of the gap in resources which are appropriate for young people. “Often a young person will ring me and say they need to leave immediately, but then it might take two weeks to find a refuge and six months to get payment through Centrelink,” said Ms McMillan. The social worker suggests it's important to be responsive in the first instance to young people seeking help, otherwise they will lose trust in services and be reluctant to re-engage. This is something we hear far too often at Marrickville Legal Centre: and increasingly, it is from young people. In this case, the now 20-year-old mother of one managed to escape: despite her former partner eluding police and an AVO for six months. She eventually found a refuge and then legal and non-legal support through Marrickville Legal Centre. When young people contact us, 9 times out of 10 it is about family and domestic violence. In the last year, for the first time, we have employed a youth and family violence solicitor. They have taken on cases, provided legal education, advice and court support to countless young people, including the young mum we are calling Josie. That solicitor works alongside our social worker who has expertise in dealing with people experiencing family and domestic violence. There is no other service for young people like it in NSW. “It was life-changing to have that support: someone to communicate clearly with me about the law and make me aware of the questions I would be asked. “It would be really disheartening if there was no-one to provide that,” says Josie. Marrickville Legal Centre was able to pay for that new, important service through generous donations from our supporter base. But now that funding is coming to an end. To keep going with this vital work, we urgently need to raise $50,000. Your generous donation before Christmas will help support this vital position in the local community for the next six months. Thanks in advance for your generous donation. Most Friday nights, a group of young men gather around a food van in Sydney’s south-west. While the lure might be free chicken and chips, it’s also an opportunity for them to talk to professionals about some serious issues they face: often relating to alcohol, drugs and dealing with police. Youth workers from Barnardos and Bankstown Multicultural Youth work closely with the young men over a period of months -- and sometimes years -- to build relationships of trust. Then they can provide support on employment, education and counselling. In addition, a solicitor from Marrickville Legal Centre is on hand on Friday nights to offer free legal advice in an informal environment. Barnardos' youth worker Leonard Perelini says most of the young men are from middle eastern backgrounds, but there are also Sudanese, Palestinians and Lebanese. “We have a soft entry point, which is the food truck to build rapport and the conversation. It gives them the opportunity to meet with us,” he says. Appropriately enough, the mantra for Streetwork is "working with young people on their own turf and on their own terms”. Bankstown Multicultural Youth social worker Kurtis Lyon says it’s important to meet the young men in own territory. Marrickville Legal Centre has worked with several of the young men to maintain their clean criminal record, which helps with future employment opportunities. “I often say that they are at an age where you want to open doors, not close them, so that’s what we do,” says Vasili. The food van has been going out around Sydney’s south-west for most of 2017, but the Barnardos Streetwork program has been operational since 1990. It is funded by NSW Health. One in three calls to Marrickville Legal Centre relate to domestic and family violence. 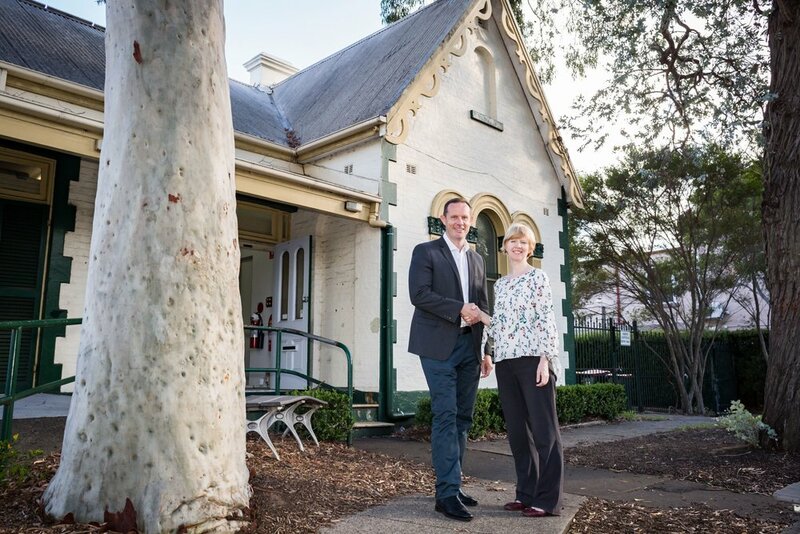 MLC was able to shed light on some of those statistics with the Minister for Prevention of Domestic Violence and Sexual Assault, Pru Goward, and her advisor, who visited the centre recently. Ms Goward spoke with the MLC’s Principal Solicitor, Annette Van Gent, our Domestic and Family Violence Support Worker, Zoe McMillan, and our Youth and Family Violence Solicitor, Frankie Sullivan, about the Centre’s efforts in dealing with domestic abuse. The visit comes on the heels of the release of the latest figures from the Bureau of Crimes Statistics and Research, including statistics on domestic violence. These numbers indicated that suburbs in our service area such as Bankstown, Rockdale, Hurstville and Auburn, have amongst the largest number of recorded domestic violence assault incidents in Sydney*. The team also thanked the Minister for another year’s funding for the position of the Domestic and Family Violence Support Worker. *Of the 39 Sydney local government areas in NSW Recorded Crime Statistics (July 2016-June 2017), 11 of the 25 areas with the greatest DFV assault rates are in our service areas.